The Tropic table is yet another proof that very few mixes can match the effects of metal and wood combined in harmony. 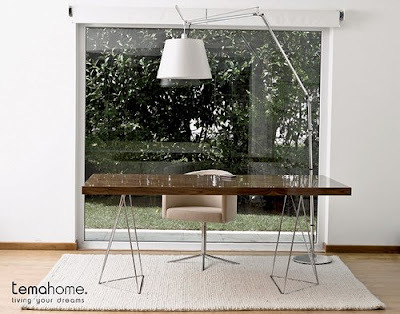 The Tropic table can be used as a sophisticated home office or workspace desk and while the feet are affixed to the table top, it never misses the effect of being loose giving an edge somewhat industrial-urban look. See more at TemaHome.com, designed by theTemaHome design team. A wall system just the way you want! What were you doing in 1981?